Elines (4th from right) and members of her family outside their old family home. Struggling against poverty and illness, Elines Chunga has seen a great deal of pain her nearly 80 years of life in northern Malawi. Fortunately, support from The Presbyterian Church in Canada has recently brought a great deal of joy and hope to Elines and her family. Elines lives with her daughter and nine grandchildren. The children—including triplets—range in age from 9 to 17. With no source of income, the family was forced to live on the charity of others, crammed together under one small roof in a dilapidated, one-room home. Elines’ daughter, Joyce, moved in with her mother after her husband passed away from AIDS, not long before she was diagnosed as being HIV-positive. Joyce’s health deteriorated and she was taken to Ekwendeni Hospital for treatment earlier this year. It was the same time Dr. Ian Persaud, International Ministries staff, supported by Presbyterians Sharing, began work at the hospital. Joyce was very ill and bedridden but Dr. Persaud and hospital staff treated her condition and helped her regain her strength so she could return home to her family. 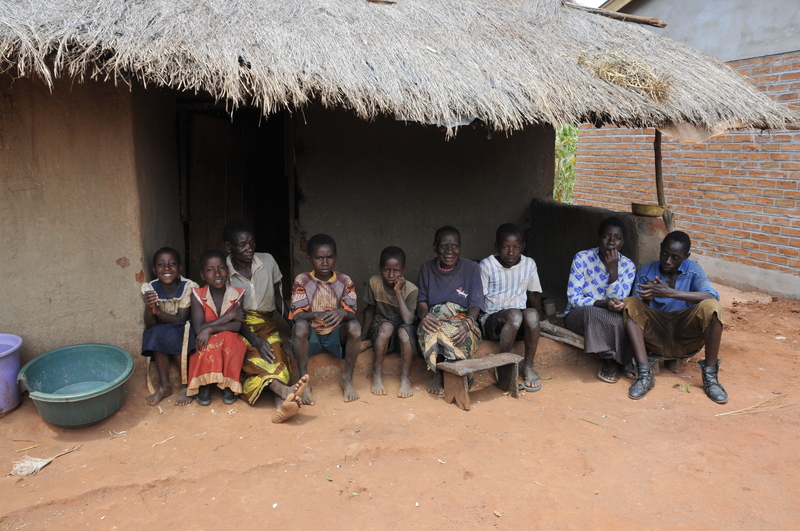 Joyce joined a support group and her health has significantly improved. She is now better able to care for her children and she’s hopeful she’ll soon be able to take on small jobs to make money. 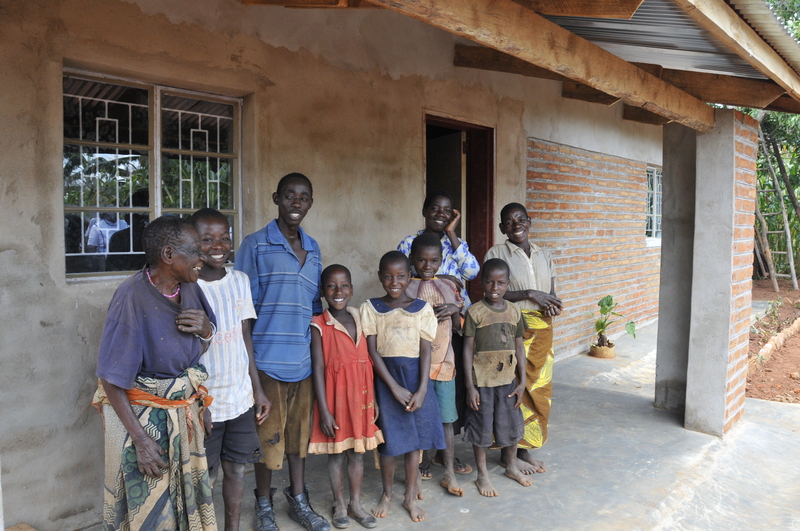 Elines (left) smiles happily along with some of her grandchildren in front of the family’s new home. The PCC’s partners in the area, The Presbyterian Church of East Africa, Livingstonia Synod, identified Elines’ family as one of the poorest in the community, noting the family’s urgent need for more adequate housing. 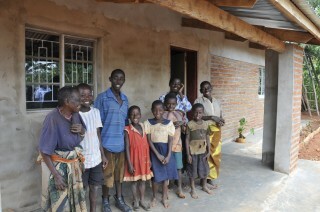 Support from Canadians through PWS&D helped provide the necessary funds to build a new home for the family, allowing them move in to the new building at the end of April. The home has several bedrooms, concrete walls, a strong roof and space for cooking. Elines was unable to speak about the new home. Instead, she burst into song, singing her gratitude to Canadians and local partners. Her daughter’s health has been restored, her grandchildren can live with much more comfort, and a new home is keeping them all safe and together. The Presbyterian Church in Canada works with our international partners to restore hope in communities that struggle with poverty. 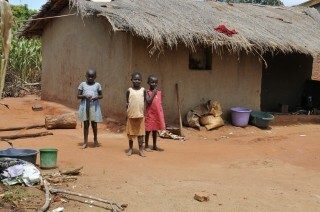 Presbyterian World Service & Development provides funds for development and relief projects. Mission staff sent through International Ministries – with gifts from Presbyterians Sharing – accompany partners, providing support, training and encouragement. Donate to the work of PWS&D or Presbyterians Sharing today.